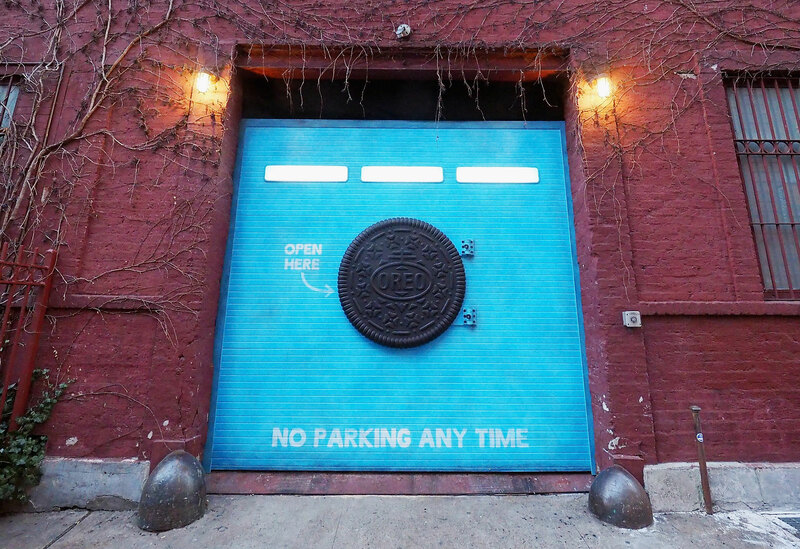 If you're in New York City today, and anywhere near 18th Street between 7th and 8th Avenues, head over there before 6:30 p.m. and check out this Oreo mysterious door. 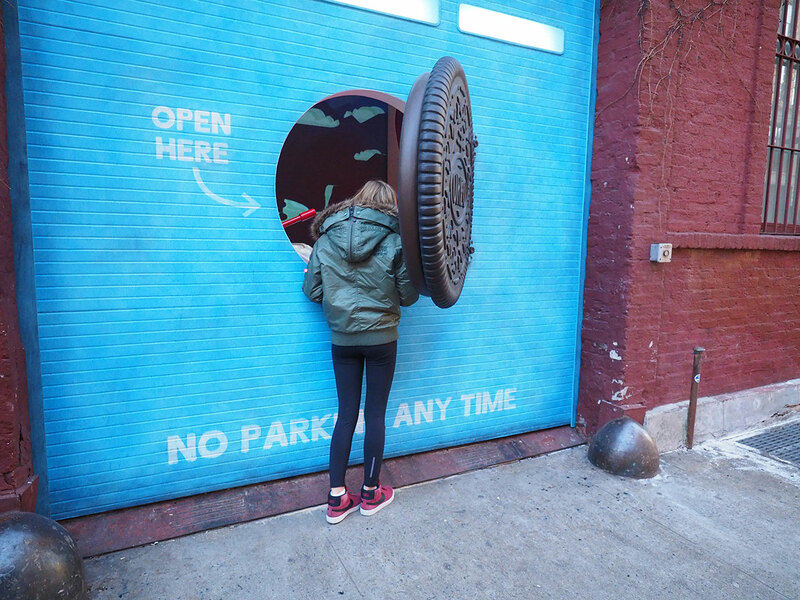 Actually, it's more like a portal. 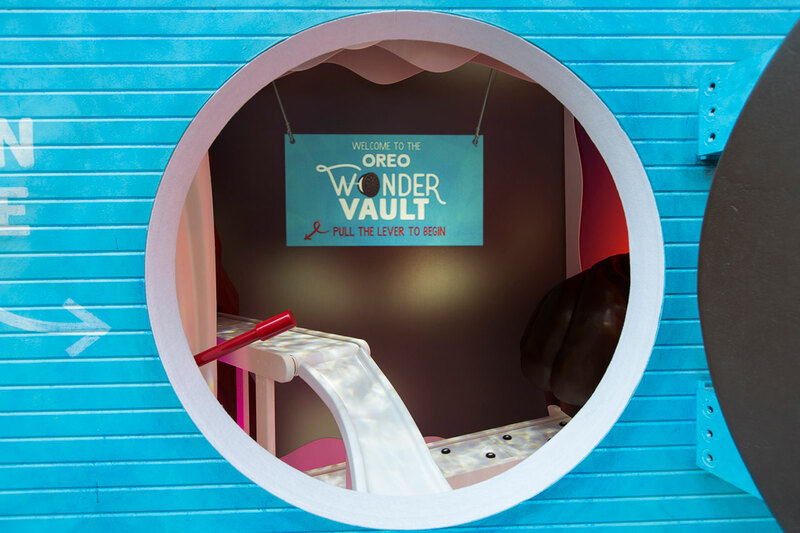 The Mondelez cookie brand is calling it the "Oreo Wonder Vault." 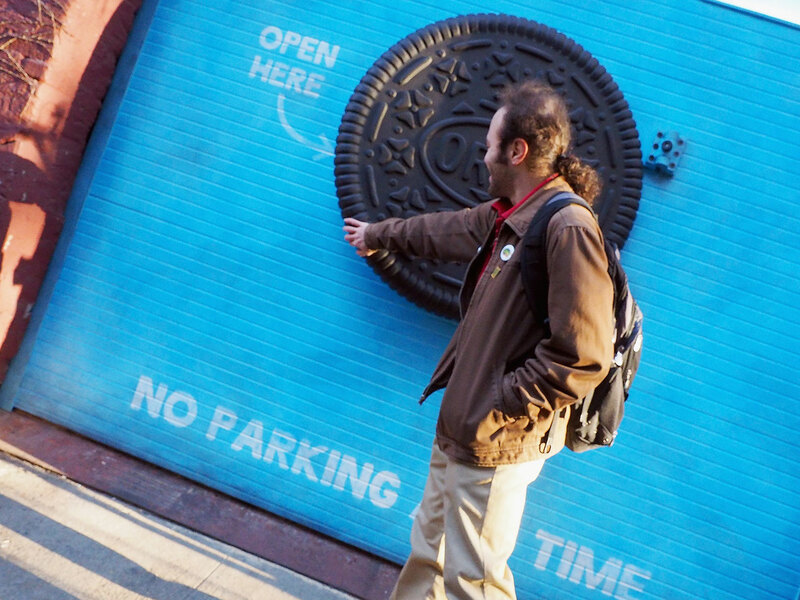 And we're told it's where new Oreo flavors magically appear, as if out of thin air. 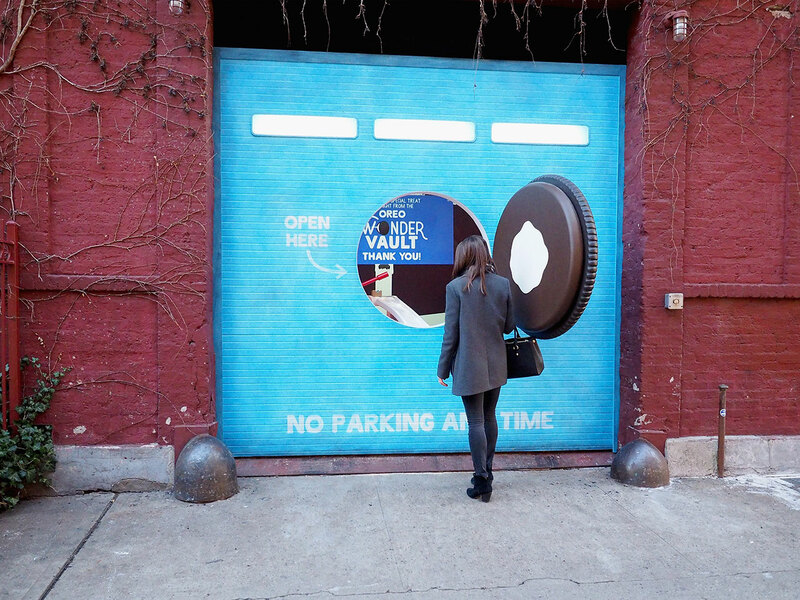 And indeed, that's apparently what's happening today, when passersby can approach the door and receive brand-new Filled Cupcake Oreos a full six days before they hit store shelves. 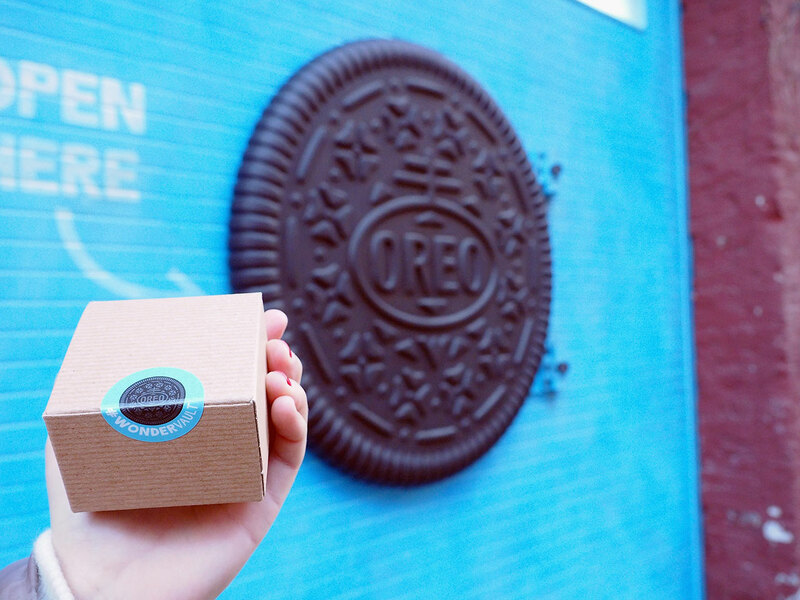 The brand explains the sorcery this way: "Media and fans that stop by today will get the chance to personally open an Oreo shaped door and watch their box of Filled Cupcake Flavored Oreo Cookies 'travel' directly to their hands, traversing through a magical world of Oreo flavor." 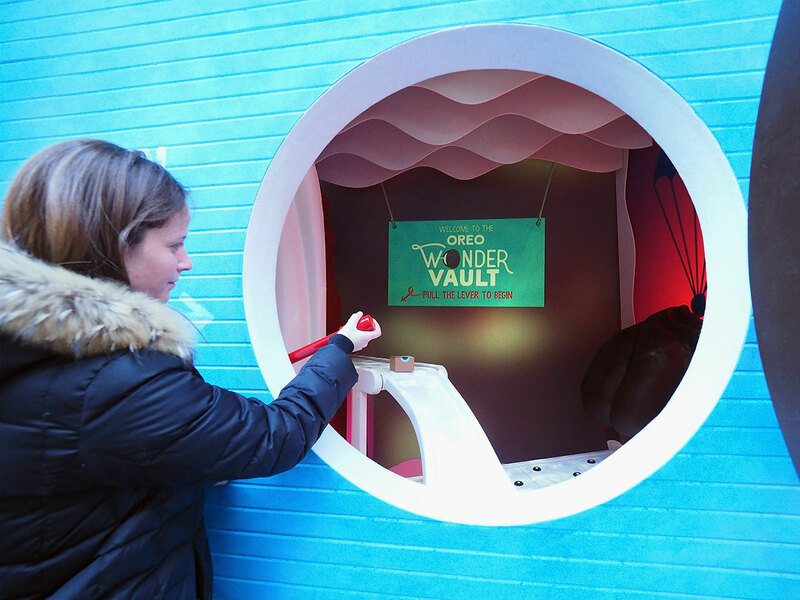 • As many as 50 prototype flavors and more than 100 additional ideas can be in the Wonder Vault at any time. • Usually 12-18 months of creation, including monthly tastings, get us to the perfect, delicious flavor but some flavors spend years in the Vault before they are ready for release. • We make our initial prototypes by hand. Once we feel confident in the flavor, we create a batch in our bakery and the process goes from there with taste tests along the way. • We try every flavor of crème coming out of the vault on both chocolate and golden cookies to get to the just-right combination, and we are always experimenting with new ideas to make sure we deliver the most delicious treat possible. • The limited edition process never stops; we have lots of flavor ideas just waiting to make their way to the world. We're pretty sure not all of this actually happens in a Wonka-like hole in the wall on West 18th Street. But it makes for a fun little outdoor installation. More pics below. Weber Shandwick was the lead activation agency on this, in collaboration with Iontank, 360i, The Martin Agency and Carat.